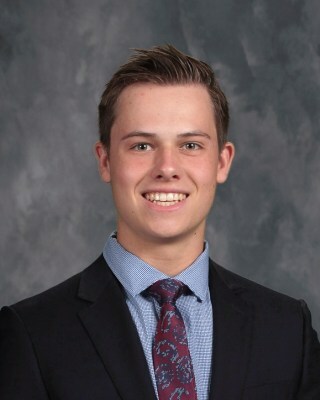 Garrett Gloeb, a junior at Mount Michael Benedictine School, has won the 2017 Junior Travel Award for his achievement on the National Spanish Examination and for his excellent skills in the Spanish language. This national award, valued at over $3,500, is given each year to twenty-four students from across the United States who become eligible by earning a high scores on the National Spanish Examination and then submitting samples of their written and oral work in Spanish to a selection committee. In July, Garrett will be traveling to Peru with the other 23 winners. Peru is the cradle of the Inca civilization. Among the places they will visit on the trip will be Machu Picchu, often referred to as the lost city of the Incas, and the floating islands of the Uros on Lake Titicaca. Garrett is the son of Matt '82 and Kristin Gloeb of Bennington, Nebraska. Mount Michael Benedictine School, which has a long history of excellence in academics, has participated in the National Spanish Examination for the last 25 years. Congratulations to Garrett Gloeb and his Spanish teachers, Chad Schuttler and Carolina Westling who are very proud of his accomplishments.